EUCHNER CES Category 4, Non-Contact Safety Systems are used to monitor the position of movable machine guarding by means of Inductive Coding. 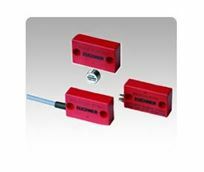 These RFID systems are designed for use in areas where a high level of tamper resistance and safety is required. 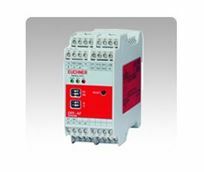 These systems feature an inductive read head, evaluation unit / safety module, and a digitally coded actuator. Unlike universally coded magnetic switches, these CES-AZ-AES evaluation units read actuators that are uniquely coded and cannot be bypassed with a second actuator.